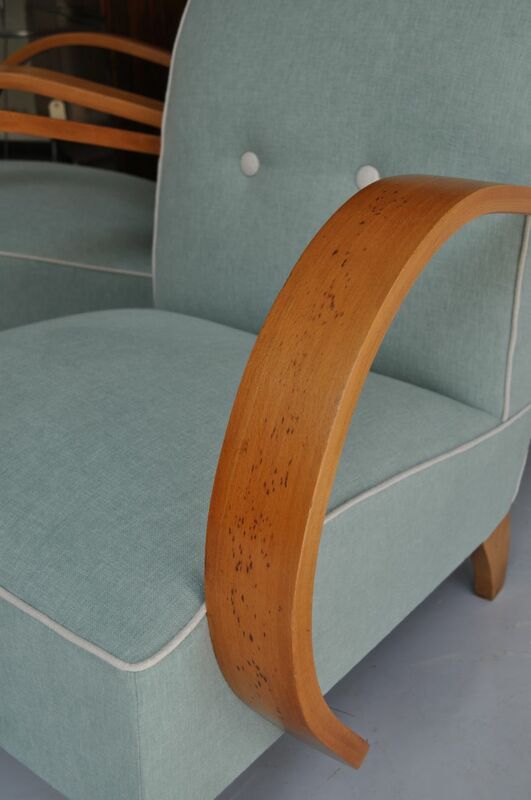 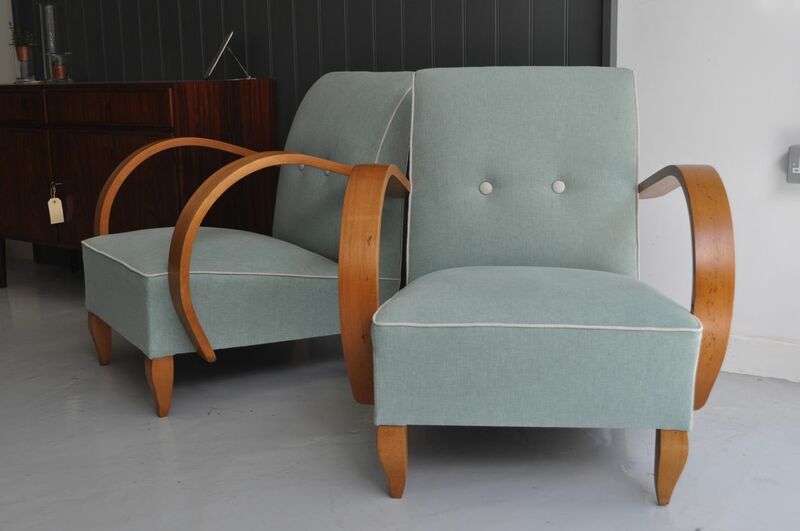 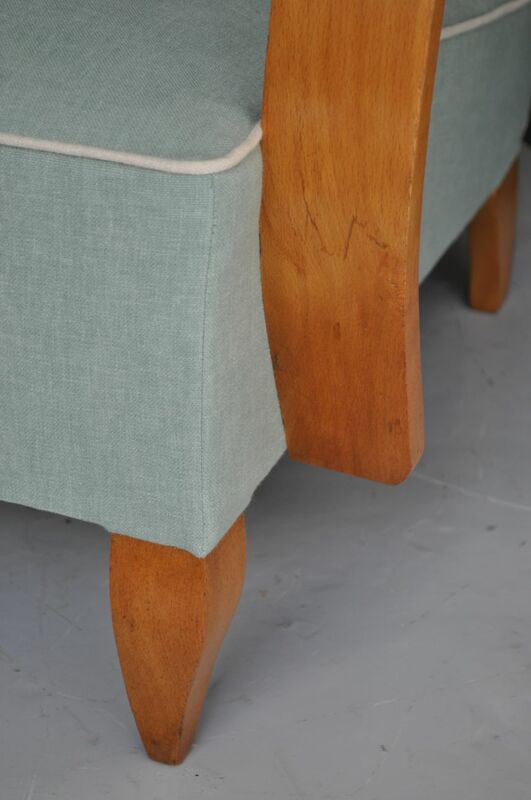 Pair of French 1950s armchairs, with beautiful steamed beech arms, and a lovely graceful taper to the backs. 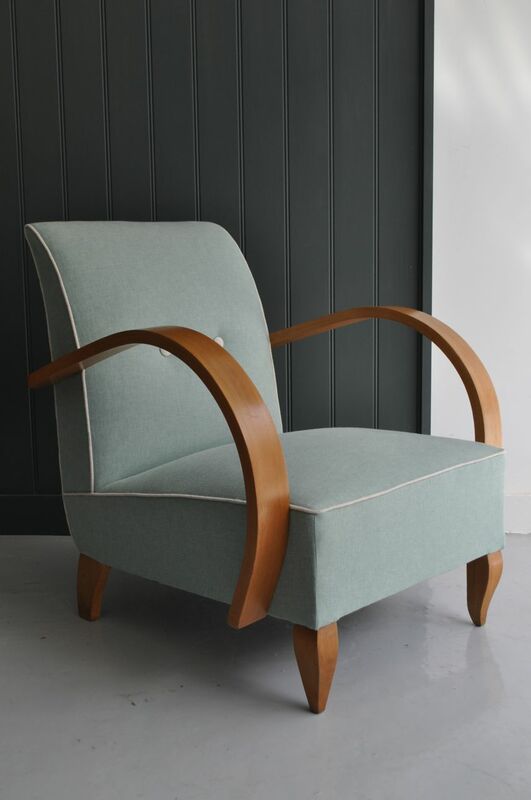 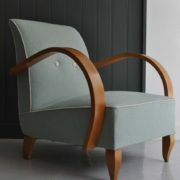 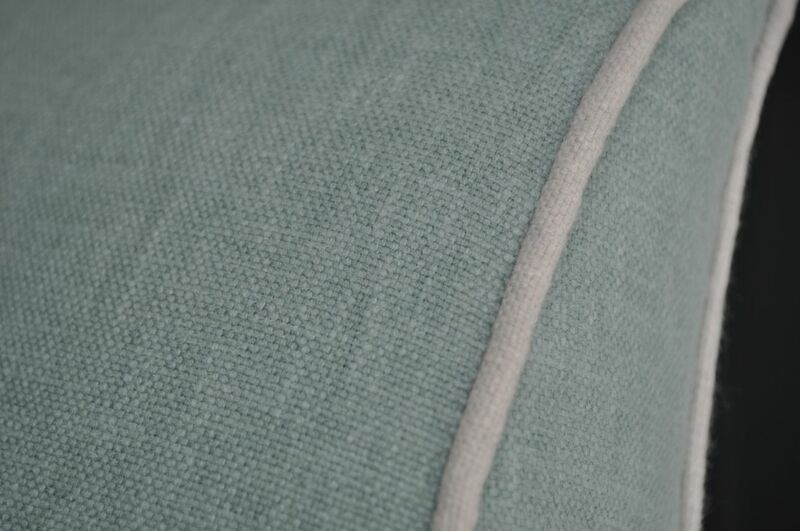 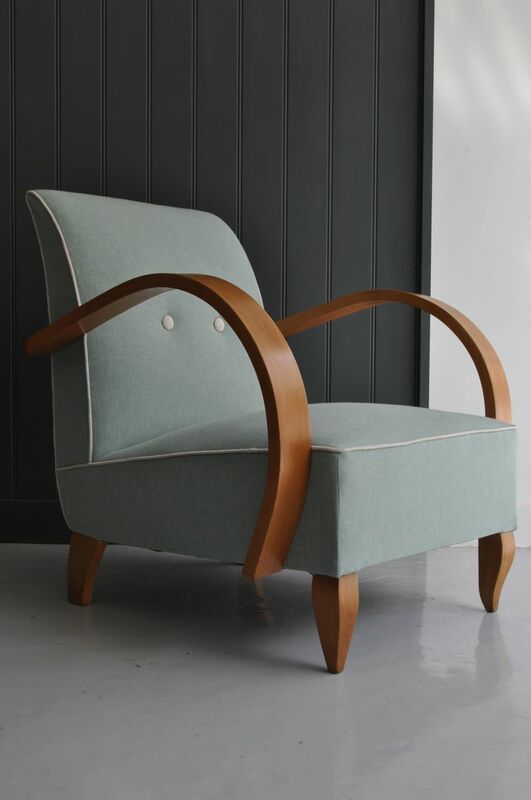 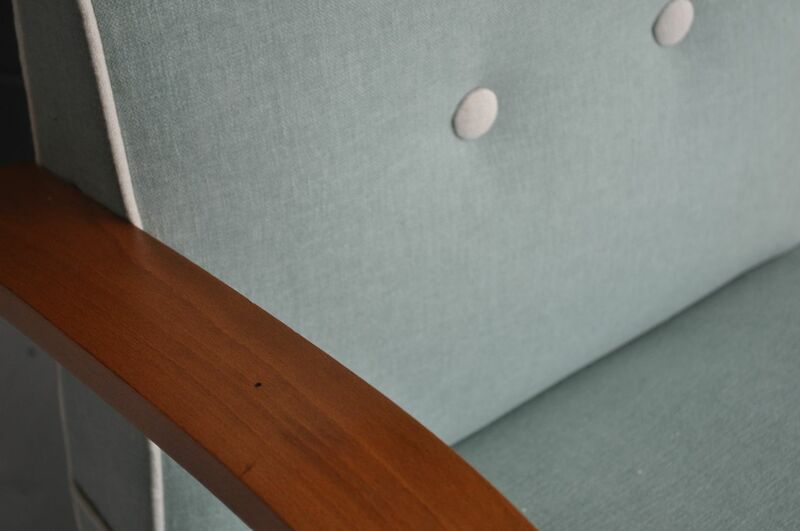 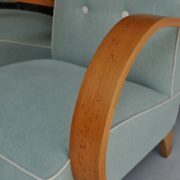 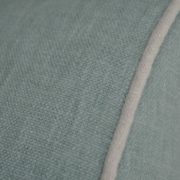 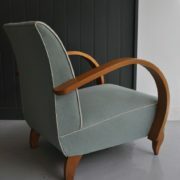 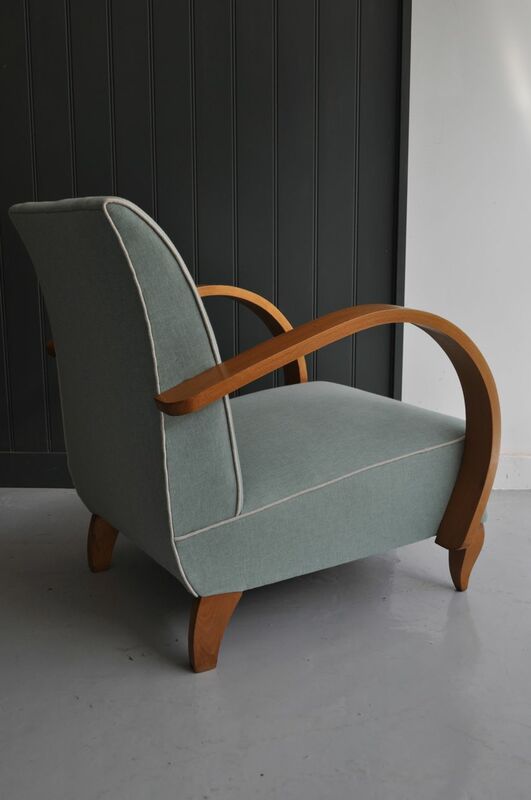 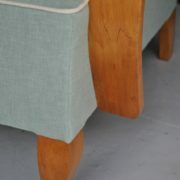 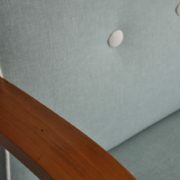 Newly upholstered in duck-egg with contrasting natural piping and buttons. 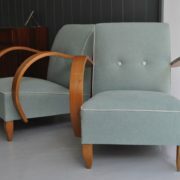 Compact and stylish, and the price is for the pair.